Works great. 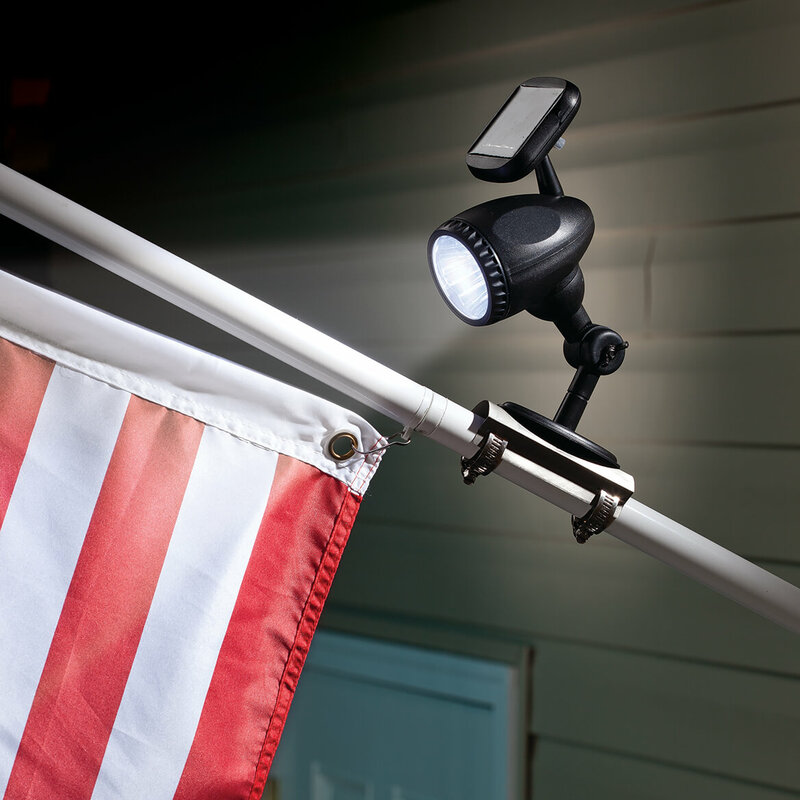 Easy to install and makes the flag shine at night. 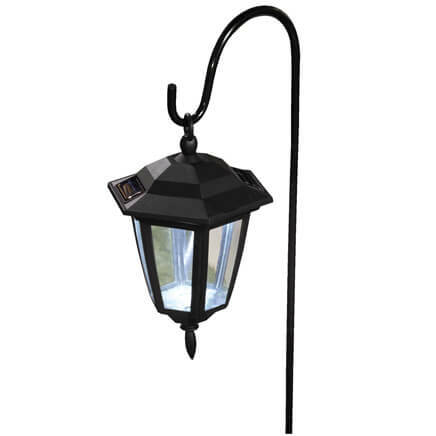 This lite is very nice and fits on the flag pole very nicely, however I have my Flag pole close to my pool lite and it makes it hard to see this lite at night. Might work for a 10 inch by 14 inch flag. This is the second one I have purchased. The first lasted about a year and crumbled into a rusty pile. This second on gave up the ghost in less than two weeks. I really can't recommend it. THIS LIGHT DOESN'T STAY LIT VERY LONG, CERTAINLY NOT ALL NIGHT. Needed it for my American flag on our flag pole ! I purchased this for my husband for Christmas; he has been wanting a light for our flag for some time now. I hope it fits; our flag is on a pole attached to our house. I want to fly my flag 24 hrs . to show my flag 24hr. I'm hoping this will light my flag. 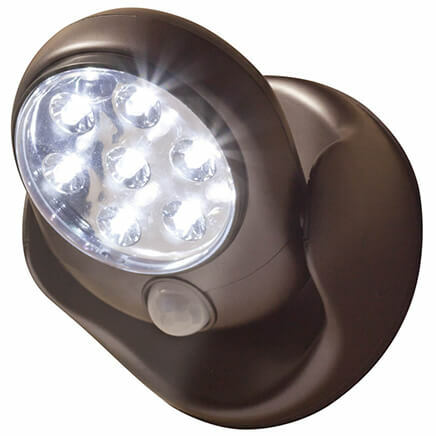 I have been looking for a better way to light up my flag, I have solar spot lights in the ground. they just do not light it up like I would hope. hoping this will a better option. Good price really wanted to know how many looms the 3LED s put out ? Just had a US flag put on my house and flag etiquette states it must be illuminated if left up over night. Even on a cloudy day solar Panel absorbs the sun. Leave our flag out most of the time. Know it should be lighted at night. Inexpensive way to accomplish this. So I could leave the flag up all the time. My hope was to help have a light on our American flag that hangs 24/7 from our roof. Unfortuntally the light is not powerful enough to show that the flag is lighted at night. We do have it stationed where it gets sun light throughout the day, it's just very dim. The price was reasonable and we needed the light for our American flag.Also it would be easy to put on to the flag pole. This is the first time we have found a light that attaches directly to the flagpole. We are both Navy veterans and wanted to display our flag 24/7 but wanted it properly lit. We wanted to fly the American Flag at night. 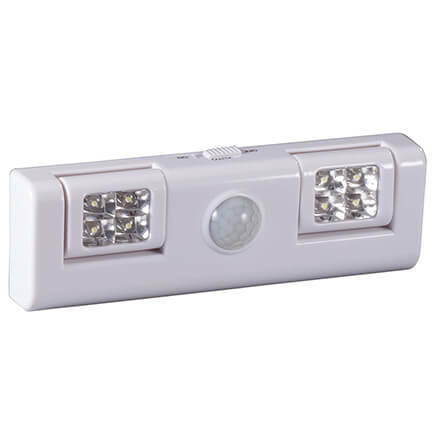 This product is wireless and will fit our flag pole. I want to display the USA flag 24 hours a day. I choose this light because the price was right. I'm a true American and wish to fly my flag at night. In order to do with you mush shine a light on it all night. I needed a solar light to display my American flag. Wanted to leave the flag up at night and works good. I thought it would light my flag. It doe not work well. This is exactly what we needed for our flag. For myself. I don't have a way to keep the flag lite overnight. To fly my flag at night. It says it has an on/off switch. WHERE is that switch? BEST ANSWER: ON the underside of your solar panel should be a switch.its covered with a little rubber square. I can say that I had that same problem. After I finally found it , I also can say thay it never worked for me the way I thought it would. So I just took it of and thought I would try it some where else. It's on the bottom side of the Solar Collector, not the light housing. Though I wish Miles would do there own Tech Support. Thin White Plastic protrusion, off and on molded into bottom or Solar housing. At least it is on mine, it's from China so maybe they changed the specs to save a few Yen and didn't tell the resellers. If you look on the other side of the polar panel that is where the switch is. It is on the back side on the panel. It is not on the light it self. Hope this help you. Good luck and God Bless. It is covered in white plastic on the underside of the light. Mine didn't work well, but give it a try. I too cannot find the off and on switch. I'm am not impressed with my light. It is located on the solar panel. It looks like a piece of white plastic. Did not receive mine yet! Does it work on poles that are straight up from the ground? BEST ANSWER: It should if the pole is round enough. 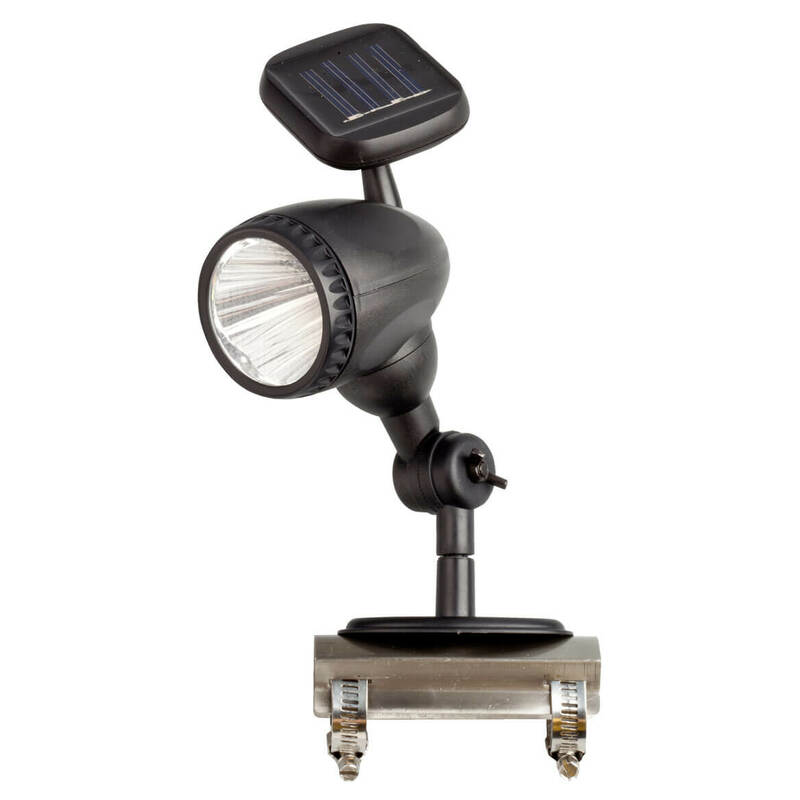 The light has 2 adjustable rings on it which would allow for tightening and the solar panel is adjustable. It does not work on thinner flag poles (as noted in the description) because the rings only adjust so much. It's beautiful to see the symbol of American freedom displayed properly at night. I can't plug this outside there are no dockets could it run on batteries? BEST ANSWER: Thank you for your question. It is not battery operated and can only be plug powered. We hope this information will be of help to you. 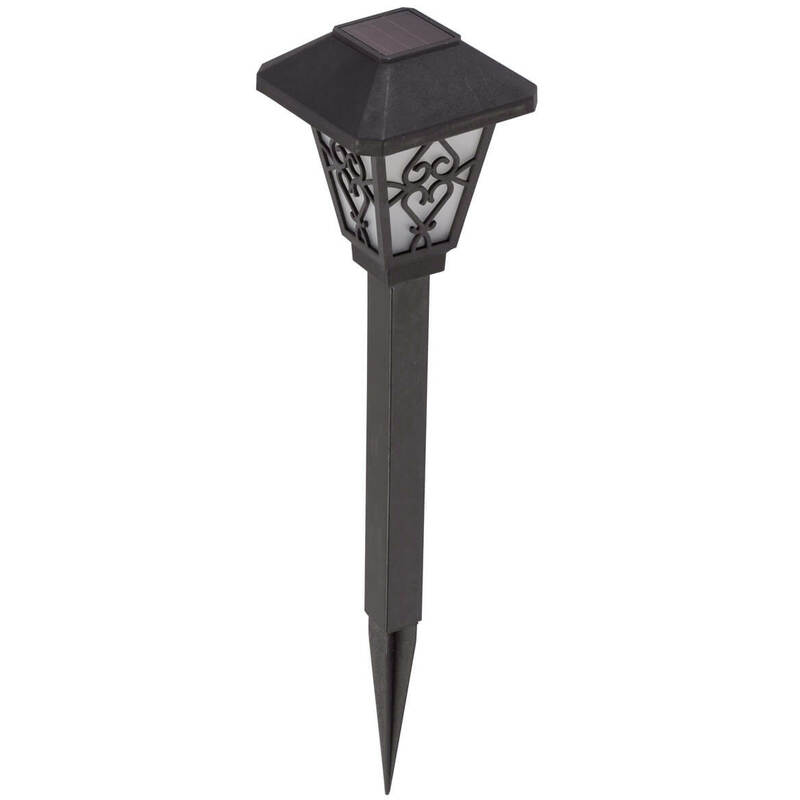 Metal garden flag pole is perfect for festive, outdoor flags all year 'round. Yard flag pole measures 15" wide x 36" high and stakes easily into the ground, displaying your garden flag in style.